Do you know that SelbySoft carries a full line of equipment for your store? I’m not just talking about our full point of sale equipment and software but the additional items you might need in the future. Cash drawers in two versions along with extra drawers, locking lids and extra keys. Paper for thermal, sticky rolls, plain paper. Labels for bar codes, box labels and cup labels. Printers, including sticky, thermal, plain paper, box label and report printers. Kitchen & Barista monitors with bump bars. And much more! Give us a call for more information! Looking to buy a POS system? Great! It is a big decision and we realize that it can a little overwhelming. 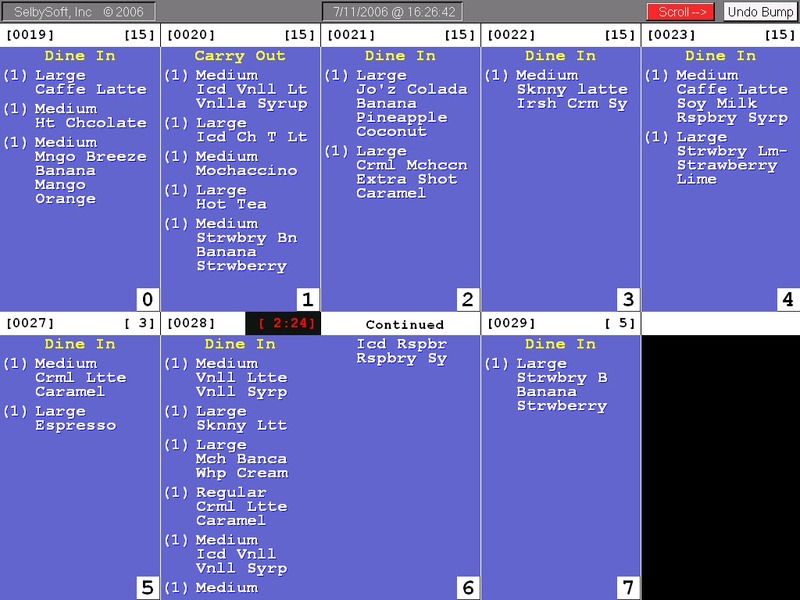 I thought it would be helpful (and a little fun) to move through some of the common configurations that we see out there and detail some things to think about when looking at a POS system. If you have a dedicated drive thru, do you need to have two separate POS terminals or can you use one POS station for both windows. If you start with one, and have a double sided drive thru, get pricing on what an additional station would be down the road. You ARE going to be busy enough at some point right? 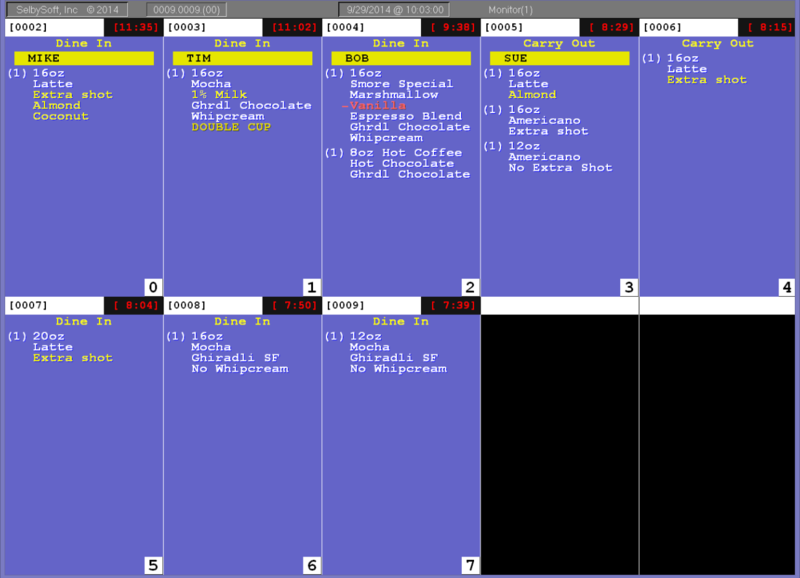 If you are using one POS in the drive thru, then maybe you want to look at multiple drawers on one station. That will allow you to keep cash accountability with the employees. Who will be making the drinks and how close to the window(s) is the espresso machine? Are you going to remember or call out drinks? If not, then you will want to either print a slip out of the receipt printer or have a dedicated barista printer / monitor. A lot of this depends on the volume you will be doing. Do you plan on doing any line busting with the cars that are stacked in the drive thru lane? If so, then a tablet may come into play for efficiency. The first question with a cafe is: Are you carrying food? If so, will this be grab and go items from a cold case or are you going to be prepping or building sandwiches or other items? If you have a kitchen, then we will want to have a kitchen printer or monitor. This way the kitchen operates independently of the front counter. Remember, anytime your staff needs to walk away from the POS, they are also walking away from the customer. You could use the receipt printer to print a sandwich ticket but that would have your employee running back and forth and losing that important face time with your customer. All of the above holds true with the espresso machine as well. If that is not right next to the POS system, then you should look at a separate printer or monitor for that as well. What about expediting the order? If you have a sandwich and a drink, how will you put them together so that you can put the whole order together. Can you print a separate slip out of the receipt printer? We have the ability to also include the other printer stations on the ticket (Barista ticket says that there is food / food ticket says there are drinks). Will you have retail? How much? Our general rule of thumb is that once you get over about 100 unique retail items you may want to look at a scanner for the POS station. But retail does not stop at a scanner. If you are selling bean by the pound or loose leaf tea, then you will want to look at an integrated scale system. If you have a drive thru attached to the cafe, then you may want to look at a 2nd point of sale terminal for that aspect of the business. I’d always recommend checking what the price is for down the road. Are you going to be doing any outside seating or plan on having a busy line? A tablet for line busting might make sense. If you are having one POS station, you may also want to look at multiple cash drawers for the cash accountability side of things. Will you have any seating? Will you call out the customers name or ticket number after they order at the counter? Or, are you going to give them a table tent and then bring the order to the customer. In some cases we have customers that add beer and wine and then even handle a little bit of table service during some times of the day. Do you need to make sure that you have a table service option for down the road? Phones, timed orders and catering. 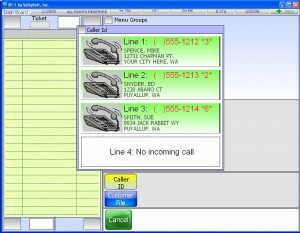 Will you have people order over the phone? 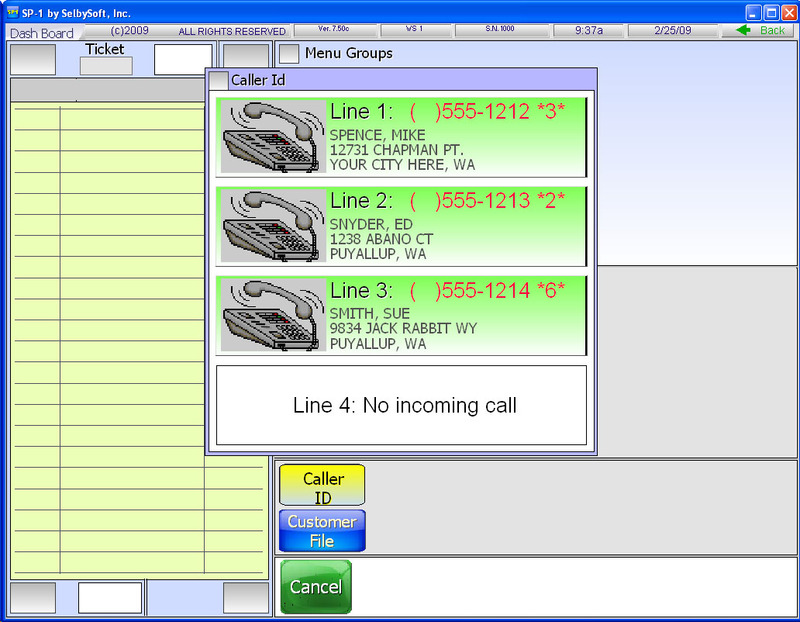 Do you need to have customer and phone number tracking so you can record those orders? Are you in an area with a lot of pharmaceutical reps or warehouse / factory locations? If so, you may have people that order early in the day and want it ready for lunch. Do you need to make sure your POS can automatically print those orders 30-60 minutes before they are due (hint: we handle that)? When it comes to catering, do you need to be able to provide price quotes and even the ability to deliver to multiple addresses? Are you going to offer delivery? Will you have dedicated delivery drivers? You might want to consider if you can pay them different wages when they are delivering as opposed to when they are working in the store. Speaking of payments, how will you re-reimburse a driver? By mileage, per ticket, percentage or something else? If you are doing a lot of delivery, then you will most likely look at a boxlabel printer so you can tag each box or bag with the address etc. You could use that tag as the delivery driver receipt but you also might want a separate driver printer or slip. Credit Cards: Can you use any credit card processing company? If not, how negotiable are the rates now and in the future? It’s ok to go with your POS companies preferred processor as long as you have the ability to re-negotiate later on. Gift Cards: Is there a monthly or per swipe charge (there should not be). Is it done directly? In the cloud? Through the credit card processor? Keep in mind that you typically want that kept separate from the processor so you don’t have issues if you decide to switch processors. Whew! Hopefully this helps in figuring out what you may need for opening and what you should think about for the future. If you have any questions, don’t hesitate to call us! We think a lot about how our customers use our Point Of Sale system. Printing is one of those areas that we really tried to make sure we covered all the bases. Printing to remote printers is incredibly helpful if you have a Barista in that is 5-10 feet down the counter or if you have a separate kitchen area. 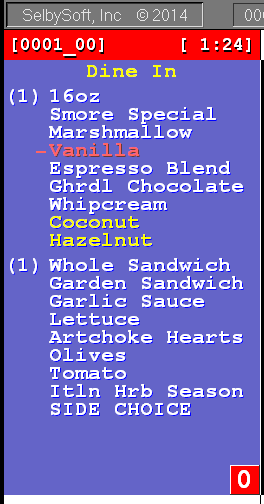 This means that you can specify that the Coffee goes to the Barista and the Sandwich goes to the Kitchen printer or monitor.